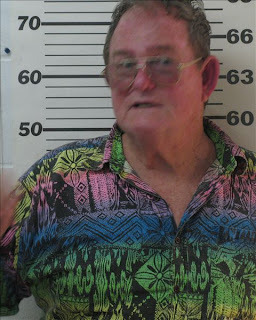 On November 29, 2010 Investigator Mike Wilkinson responded with Marion authorities to arrest William Edward Carter for a Marion County warrant. Carter had an outstanding arrest warrant for grand theft for stealing property from the Lowell Prison construction site. Upon arriving at Carter's residence Investigator's noticed in plain view two rifles by the front door and Carter was immediately located and arrested. 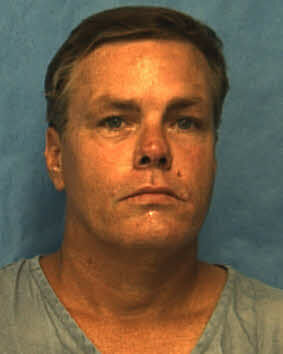 Carter is known to law enforcement and he is convicted felon for drug possession. 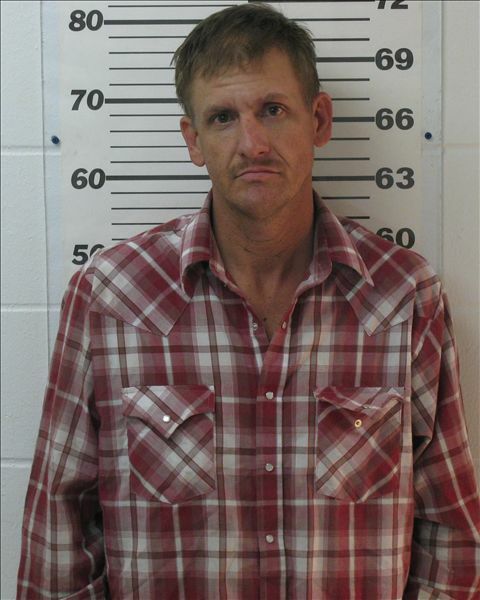 Investigator Wilkinson obtained a search warrant to search the residence and recovered two rifles, one shotgun, ammunition, 7 grams crystal methamphetamine and over $ 5,000 worth of stolen property from the Marion County case. 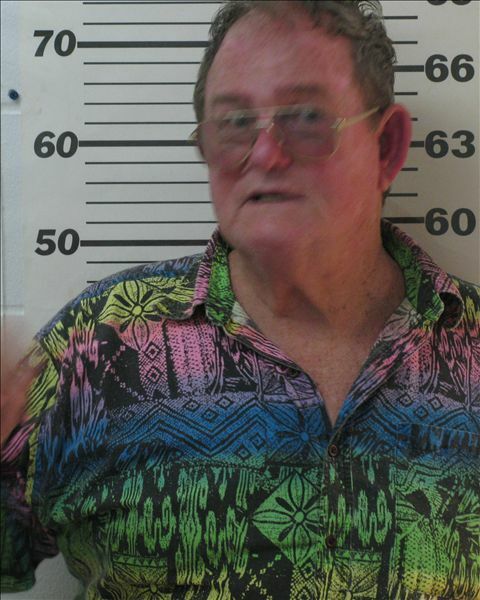 Carter was transported to the Levy County Jail and charged with possession of a firearm by convicted felon, possession methamphetamine, possession of drug paraphernalia and the grand theft warrant. On November 27, 2010 Corporal Todd Houchin responded to the Discount Food Mart located at 9931 NE SR-24 to meet with a complainant from a previous call. While in the parking lot Cpl Houchin was approached by a white male that was later identified as Jimmie Saunders from Archer. Saunders wanted to know why Cpl Houchin was at the store and who called law enforcement on him. Cpl Houchin explained that he was at the store in reference to another call but he would gladly help him if he needed assistance. Saunders behavior got more bizarre and he started speaking in Spanish and French. Due to his behavior Cpl Houchin asked him for identification and Saunders produced a Florida driver's license. Saunders had no warrants for his arrest and Cpl Houchin gave him his driver license back and told him he was free to leave. Cpl Houchin worked the original call but noticed that Saunders remained in the parking lot. Upon completing the assigned call Cpl Houchin was walking back to his patrol car when Saunders stepped in his path and produced a Florida concealed firearm permit. Cpl Houchin advised Saunders that he did not need to see his permit and went to walk away when Saunders said that Houchin was yanking his chain so he was going to yank his chain. Saunders then reached in his rear pants pocket and started pulling something out. Cpl Houchin immediately recognized that Saunders had a pistol and grabbed his arm and placed Saunders in custody. 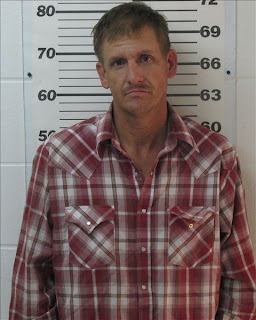 Cpl Houchin arrested Saunders for aggravated assault & improper exhibition of a firearm. Saunders had a fully loaded .380 pistol in his back pocket which was placed into evidence. The Levy County Sheriff’s Office is proud to announce the graduation of two of their dispatchers from a 240 hour Dispatch Academy hosted by Marion County Sheriff’s Office. This academy is a brand new state requirement that goes into effect the Fall of 2012 for any one with less than three years of experience as a dispatcher. 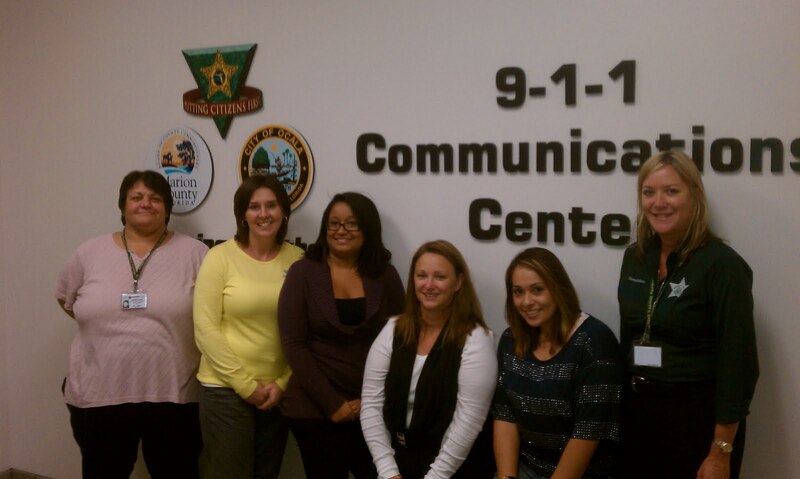 During their 6 weeks of training LCSO dispatchers Jennifer Byrd and Janice Wasson (pictured fourth and fifth in the photo) received training in First Aid, Emergency Response , Incident Command, map reading, radio procedures, and extensive scenario practice in dealing with various incidents from medical to armed standoffs. Our thanks go out to Marion County for hosting the academy. We are proud of our dispatchers for being the first in our county to graduate from a state approved dispatch academy and to our dispatch staff for covering for them while they were gone for the last 6 weeks. Pistol class for Charity "Haiti Mission Trip"
This Fund raiser is for First Baptist Church of Bronsons Youth mission trip to Haiti in summer 2011. This class hosted by Levy County Sheriffs Office will qualify for Florida concealed weapons permit and the date is Jan 8, 2011 8am till 1pm at the Levy County Sheriffs Office Classroom 9150 NE 80th Ave Bronson Fl 32621. Cost will be $55 dollars in advance or 60 dollars day of class you can register at www.Levypistolclass.info Lunch will be provided and additional donations will be appreciated and accepted. please email any questions to sfinnen@levyso.com or contact the sheriffs office at 3524865111. Patterson has moved to the below address and the Florida Court has classified him as a sexual predator. He has registered with the Levy County Sheriff's Office and for a complete listing of all registered sexual predators and offenders residing in Levy County please visit www.fdle.state.fl.us.